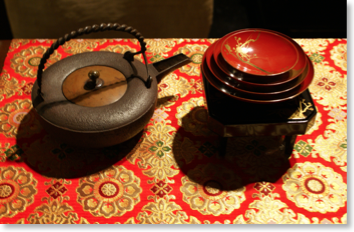 Kyoto is home to some of the most famous Zen temples in all of Japan, temples that helped nurture Japan’s traditional arts from the Muromachi period up to the present day. A visit to the exquisite rock gardens of temples such as Ryoan-ji, Daitoku-ji and Myoshin-ji are a must on any Kyoto itinerary. 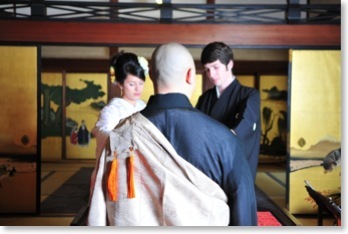 As Zen Buddhism grows around the world, Kyoto Weddings presents a unique opportunity to experience a spiritual union here in Kyoto. 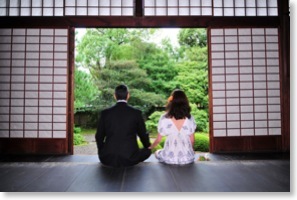 Weddings at Buddhist temples are less common amongst Japanese but are nonetheless a very special experience; especially so at one of Kyoto’s serene Zen Buddhist temples. 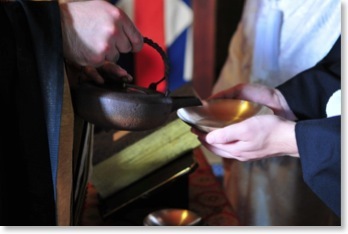 The ceremony is much simpler and involves the chanting of Buddhist sutras and exchange of formal vows before a Buddhist priest. 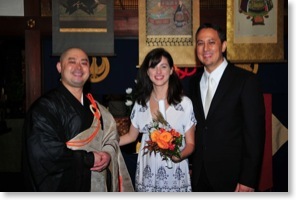 Kyoto Weddings is proud to partnered with Shunko-in, a sub-temple of Myoshin-ji, one of the largest Zen temple complexes in Kyoto. 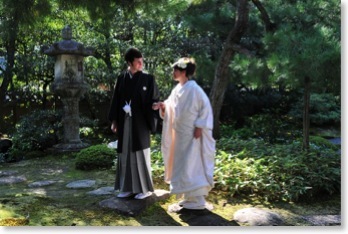 The temple is located in a quiet, peaceful area of Kyoto, Japan. 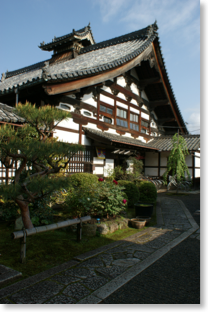 The temple was established in 1599 and has historical gardens and lavishly colored screen paintings. 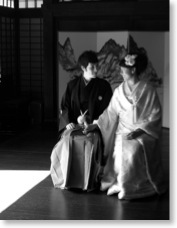 Shunko-in temple welcomes all couples regardless of faith and sexual orientation. Recitation of a special vow. This is vow is written in Japanese and English in certificate-style and is signed by both partners. 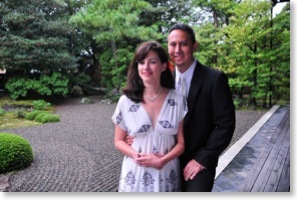 Ceremony costs vary depending on number of guests. Please contact us for further information.